Our beautiful Parkside Patio is available for private functions. Enjoy a casual atmosphere with either Heavy Hors D’oeuvres, Family Style Dinners or our wonderful Tavern Menu. Our event specialists can discuss which menu will work best for your event. Newly renovated, a portion of our Patio is covered and can be protected from the elements allowing it to be rented for Private Functions. 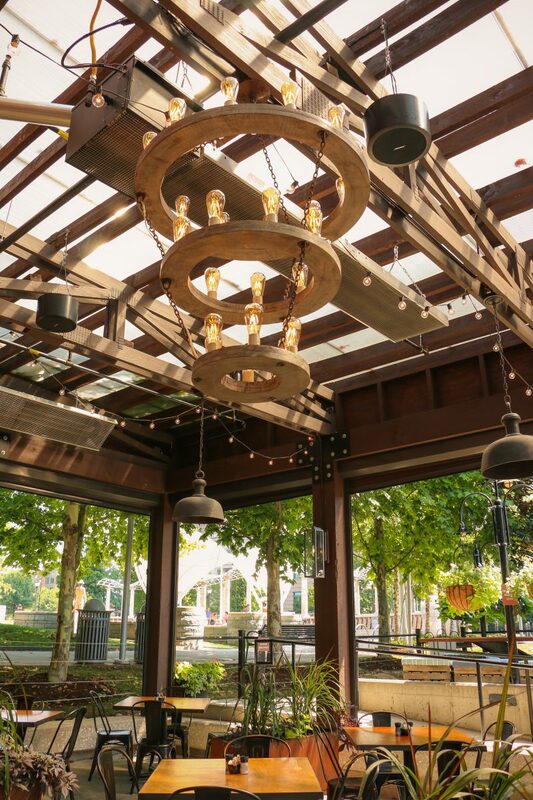 With seating for up to 40 or a cocktail setting for up to 60, our Parkside Patio is perfect for casual, more intimate private dinner parties, cocktail parties or private business luncheons. Your guests will enjoy the privacy and beauty of our space overlooking the Park. Click below to request information! 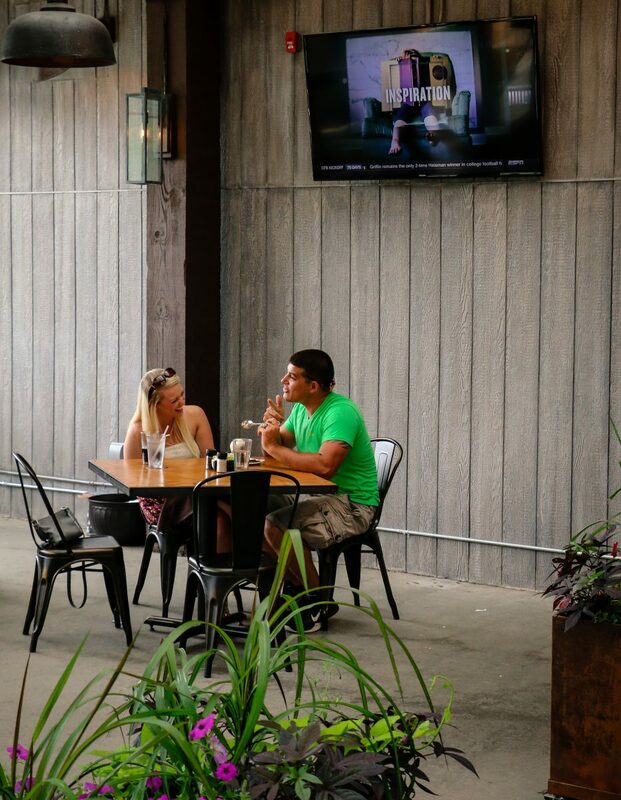 Nothing compares to the beautiful climate of Asheville, and you can enjoy the seasons on the Pack’s Tavern Parkside Patio & Outdoor Dining area. It offers a spacious, relaxed atmosphere with splendid views of the Packs Square Park and downtown Asheville, letting you be a part of it all. The Roger McGuire Green is a vital part of the downtown cultural experience and plays an important role in popular events such as Shindig on the Green, festivals, and the Fourth of July fireworks display. Take a much-needed lunch break from the office to get some fresh air and great food. Enjoy the park’s water features as you eat with your family after a day of exploring the nearby museums. Spend an evening with your date gazing at the stars over a glass of wine. Pack’s Tavern perfectly completes your downtown Asheville experience.